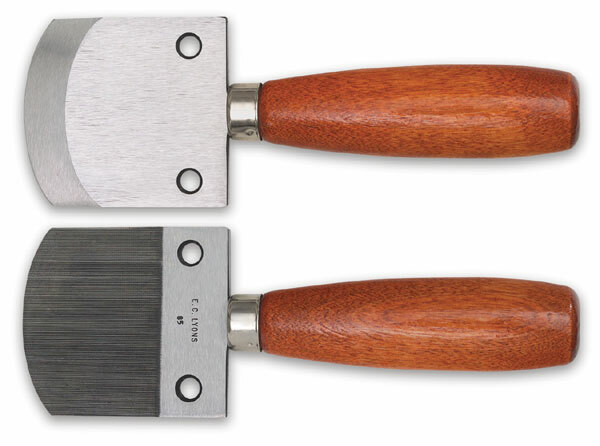 Known as the finest in the world, EC Lyons mezzotint rockers are made using the highest-quality high carbon tool steel. By working the rocker with a rocking motion over a copper/zinc plate in a criss-cross fashion, burrs are created that then trap the ink to produce rich, velvety black tones unequalled in any other intaglio process. The rockers are 7" long with a medium (85-gauge) screen, and feature a stained birch handle.